On Jan. 15, 2015 we posted about the long time it took Millstone to correctly evaluate and fix a problem with a turbine-driven auxiliary feedwater (TDAFW) pump. The lengthy problem resolution caught the attention of the plant’s state overseer and the NRC. We wondered if the event was a harbinger of some slippage in Millstone’s safety culture (SC). The NRC conducted a supplemental inspection into the pump issue and published their results in late July. * Because this inspection was conducted using Inspection Procedure 95001, one NRC action was to verify that the licensee’s root cause evaluations appropriately considered SC. The inspectors’ SC findings, summarized below, are on pp. 7-8 of the report details. The licensee identified several instances where evaluations of issues or events were not complete, evaluations were less than timely and/or thorough and corrective actions were not sustainable. In addition, the licensee identified instances of inadequate decision making and bypassing the Corrective Action Program (CAP) program implementation. The corrective action in both areas was to make changes in the organizational behavior through station leadership stand downs and by improving the scheduling of daily CAP related meetings to ensure adequate engagement in the processing and review of CAP products. The licensee identified instances where corrective actions were not completed as written. Dominion’s corrective actions include CAP group reviews for specified corrective action assignments, implementing a Corrective Action Review Board coordinator and restricting manager level functions in the central reporting system to department managers. Overall, the inspectors determined that Dominion’s root cause, extent of condition, and extent of cause evaluations appropriately considered SC components. The SC fixes are from the everyday menu: more management involvement, better oversight and improved organizational practices. The report also mentioned additional traditional fixes (upgraded procedures, more training and the development of relevant case studies) applied to other aspects of how and how well the plant investigated its handling of the pump problem. Taken together, they are concrete, if not exactly momentous, actions to improve a vital organizational process, i.e., the CAP. In addition, the fixes are consistent with the plant's position that the TDAFW pump problem was a localized issue. We would like to see a more systemic investigation of SC-related factors but the actions taken reflect an acceptable SC and reinforce our perception that Dominion (unlike Millstone’s former owner) takes safety seriously. * R.R. McKinley (NRC) to D.A. 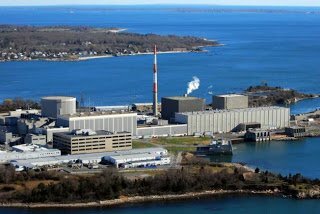 Heacock (Dominion), “Millstone Power Station Unit 3 – NRC Supplemental Inspection Report 05000423/2015010 and Assessment Follow-Up Letter” (July 22, 2015). ADAMS ML15202A473. Please try again and notify me if it still doesn't work. The NRC website has been fussy lately.